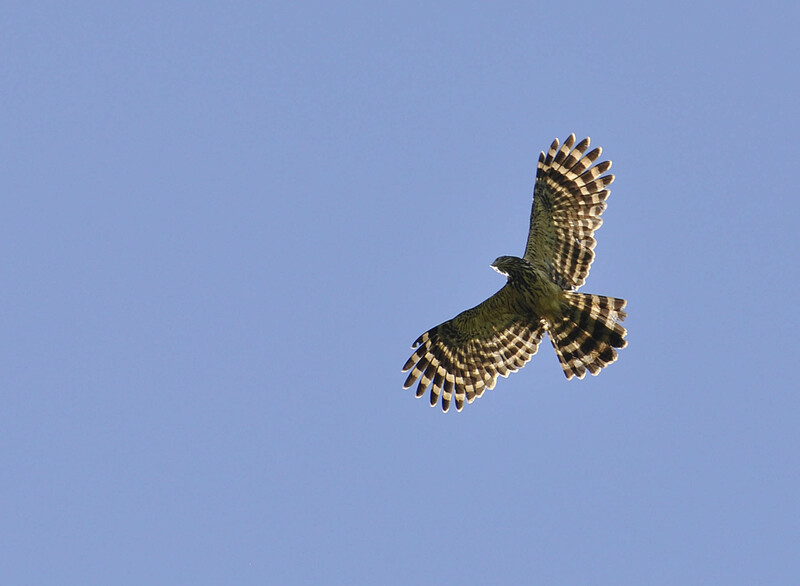 Falco longicauda Garnot, 1828, New Guinea. Monotypic. 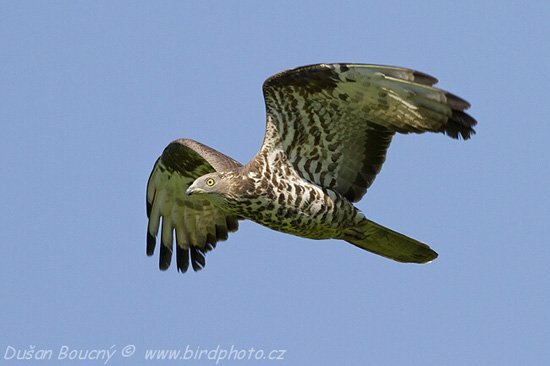 English: Long-tailed honey-buzzard; French: Bondrйe а longue queue; German: Langschwanzweih; Spanish: Abejero Colilargo. 19.7–23.6 in (50–60 cm); male 15.9 oz (450–630 g), female 20.1–25.7 oz (570–730 g). 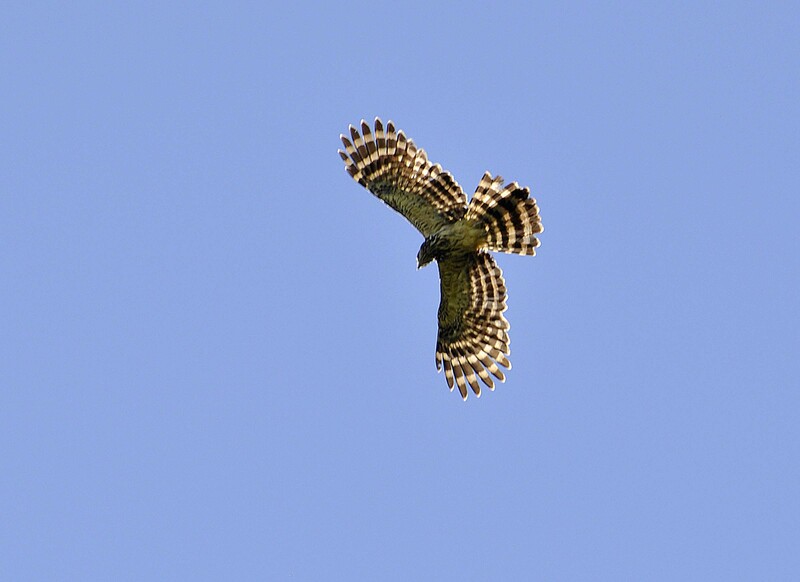 Mottled brown and honey colored upperparts with barred tail, and neck and chest streaked with white. New Guinea and western Papuan and Aru islands. Tropical rainforest and forest edge from lowlands to midmountain (c. 9,200 ft [2800 m]). Usually seen singly, in pairs or trios. Thought to be sedentary. Hunts by day and at dusk. Preys on wasps and their larvae, ants, grasshoppers, mantids, and other invertebrates, small birds and their eggs and nestlings, and small lizards. 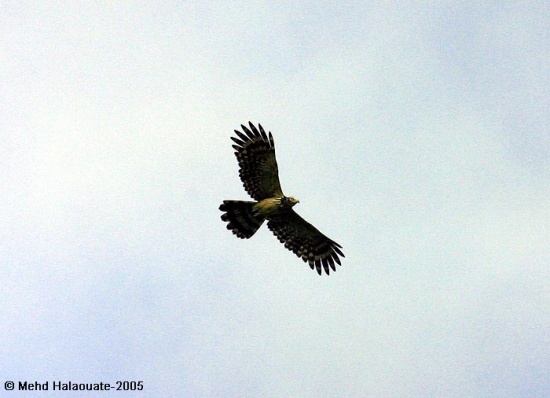 In display, the pair wheel over the forest; as they pass, one bird rolls on back to present talons to other. Monogamous. Builds a stick nest high in a tree, less often on a cliff ledge. Laying recorded May and August. Little else known. Not threatened. Quite common and widespread although deforestation and hunting for traditional uses have caused it to become scarce in some areas. 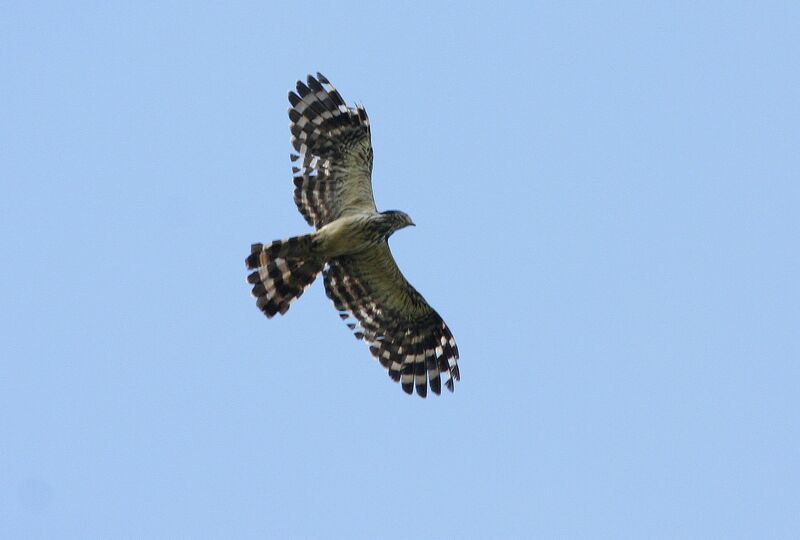 New Britain honey-buzzard is poorly known and may be declining due largely to clearing to establish oil palm plantations. The buzzard’s flight (wing and tail) feathers feature in ceremonial headdresses of some New Guinea tribes.